StoneRidge Beauty! Really Nice & Upgraded Bungalow Acoma Plan, Desired for it's Open Concept Living Space! 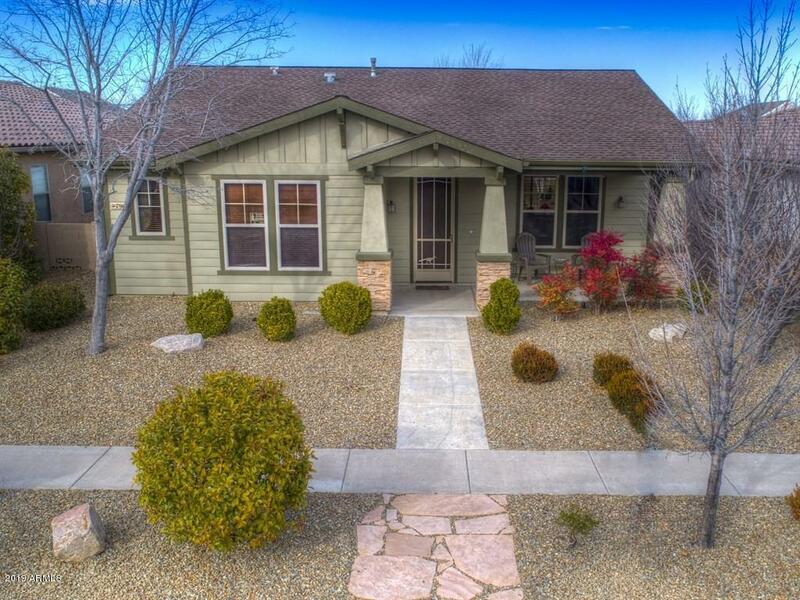 Single Level, 1677 SqFt, 3BD/2Ba/2Car Garage, .13 Acre Lot. Spacious Open Corian Kitchen w/Lrg Dining Island, Stainless Sink, NEW Subway Tiled Full Back-splash, White Appliances + Refrigerator, Closet Pantry, Oak Cabinets & Tiled Flooring + 2 Dining Areas! Great Room w/Carpet Flooring, Cozy New Travertine Tiled Fireplace, Media Niche, Sunny Windows + Sliding Door, Dark Wood Horizontal Blinds + Vertical Blinds, New 2 Tone Paint & Lighted Ceiling Fan. Master BD with Sunny Sitting Area, Sunny Windows, Dark Wood Blinds & Drapes, Lighted Ceiling Fan, 2 Tone Paint, NEW Quartz Vanity, NEW Sinks & New Faucets, Oval Bathtub, Rain Glass Enclosed Shower, Private Toilet Rm & Walk In Closet. Really Nice Pro-Landscaped Yards with recent upgrades, Drip Watering System, New Rock, Flagstone Walk-way, NEW Open Patio, Covered Patio, Covered Front Porch, NEW Painted Block Wall Fencing, Iron Gate with Pet Guard, Perfect for Relaxing, Let's Start the BBQ! Please see Upgrade List & Floor Plan!